Eight years ago today, I wrote a post entitled "The Pocketwatch". It is a story about my mother, who was my best friend and is the inspiration for this blog. It is my favorite Christmas story, and has become an annual tradition. Normally, I publish it on Christmas Eve and again on Christmas Day. But, as you may have heard, we experienced a Christmas miracle as my wife received her new heart on December 25th (there will be a blog on that later). So I apologize for the delay and thank you for allowing me to share it with you a couple of days late. After a crazy 10 months that has included dobutamine PICC line, 2, yes I said 2 LVAD heart pumps and a stroke in between, the Transplant Coordinator at The Ohio State University Ross Heart Hospital called Tiffany today to she is officially at the top of the heart transplant waiting list. Status 1A. For the next 30 days they will look at every single heart that becomes available within about 1000 miles of Columbus to see if she is a match. With her Type O positive blood, it can be a bit of a task, as O is the international donor. However, they assured us they would not have listed her if there were a lot of people similar to her at the top. So while there are no guarantees they will find a donor heart in the next 30 days, we are praying that they will. Today is not the first Thanksgiving I have had in Massachusetts. My Mother married my Dad when I was 13, and the trips to New England became a yearly tradition that we all looked forward to. We would stay at the Howard Johnson in Newburgh, New York on the way out. I remember the sunrises there, and my New Dad making the waitress cry when the corn was less than warm (he used the voice, which could be its very own blog). The trip itself was always and adventure, whether we were in the van that liked to catch fire or the big blue station wagon that had the spring in the seat exposed, causing it to poke me in the ..................let's say leg...........about 1000 times. As much as we enjoyed the journey, we were always grateful to arrive. 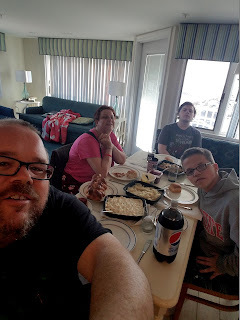 We had dinner at Aunt Ann's in Andover the first couple of years. The first time there my Mom had me try a new food, and only after I told her how much I like it did she tell me what it was. Yesterday for, the most part, was a day of rest for me and my family. 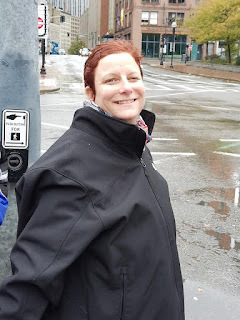 After driving all day Saturday and walking all over Boston Sunday, I was ready to stay close to the condo. And tough girl Tiffany, who walked better than 3 miles and walked up the steep walkway to get on the USS Constitution, had to take a break. 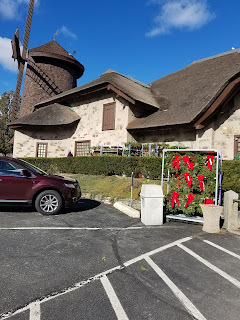 So instead of going on some day long adventure, we made our first trip to the Christmas Tree Shop at Sagamore Bridge. This was my mother's favorite place, and a must visit anytime any one of her children and their families visit the Cape. A couple of Christmas statues, a soap dispenser, and a few Cape Cod Calendars (another tradition) later, we turned and headed to our next destination. At 4:45 am yesterday morning, Ben and I got in the car to start "the drive." Little Red and Tanner had already made the trek the previous two days, along with our friend Sara Burnham, so that left my 17 year old son and I as road trip buddies as we began the 817 mile trek before the sun even thought about hitting the horizon. It started raining about 35 minutes into our trip. Light precipitation at first, then growing heavier and heavier. By Akron it was hard to see the road. But it kept raining. When we crossed into Pennsylvania I thought it might be letting up. But it just rained harder. Through Scranton. Into New York. And only when we got to within 100 miles of our destination did it stop. After nearly 14 hours, we pulled into the Ocean Club on Smuggler's Beach in South Yarmouth, Massachusetts. And we started our week on Cape Cod. After Day 1, I would tell you the drive was completely worth it.